have you tried disconnecting the scout COMPLETELY for at least 60 seconds? does the hub work normally? Yes, the hub and Scout both do work. Well for some strange reason it all works now. I don't have a blue light on my Scout but everything is working so I'm not really concerned about that. RedLead550 wrote: Well for some strange reason it all works now. I don't have a blue light on my Scout but everything is working so I'm not really concerned about that. If you don't see the blue light but the scout (or hub) is working, it's probably because the brightness dial on the side is not turned up fully. I've noticed that the dial has to be nearly all the way up for the light to be visible. I guess once it all works, the light doesn't matter and I'd rather turn it down to save some juice. 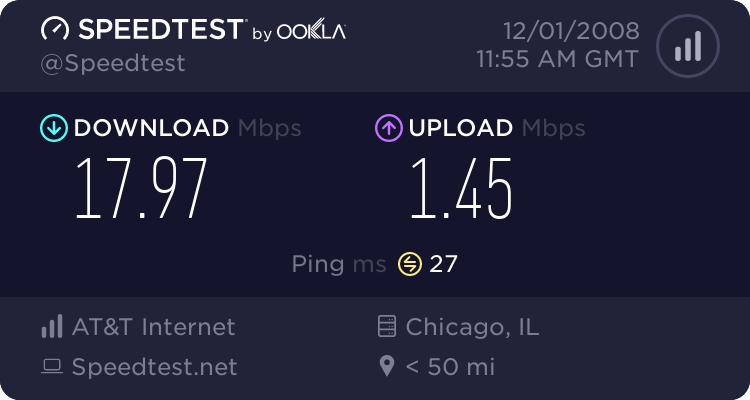 My ooma Hub worked fine, but the scout in my upstairs bedroom did not (four red lights). It is very important that the room containing the Hub, and its wall jack, is connected via a "splitter," provided with your ooma equipment. The Hub works fine when it is just connected to your modem, but I soon learned that in order for the Scout to work in another room, the HUB must also have a connection from its backside port labeled, "Wall," to the wall jack via the splitter. So, two wires are going to be connected to the wall jack (via the splitter). One going to your modem, and the other going to the Hub's "wall" port. Once I did this, I plugged my Scout into the wall jack upstairs and it clicked on within seconds. Never mind that the directions told me to do this...who reads directions. I am trying to determine if the registration of thew scout is necessary to make it work. That is question 1. Question 2, just in case answer to 1 is no, how on earth can I get scout to work ? configuration : I got dsl and phone from Cavalier, installed less than 6 months ago. The OOma main piece was installed and plugged with a splitter coming from the line in the wall in the office, then I have three phones cordless. Everything working fine. I had 2 phone numbers in the house. I kept the office one, and ported the other to ooma. Works fine. The office, as said is where the ooma unit is, and it worked with the provisional number as well as it does now with the ported number, together with the office number. NOW, I am trying to get the scout to work in the kitchen, where the home number used to go in. Since the home number was with ATT and it got disconnected, the line was silent. I went outside to change some cables on the phone box and now I do have an active line. However, when plugging in the scout, I get the feared quadruple red. Before getting the quadruple red, the scout seemed to be trying to hookup, then it turned blue, and then red again. When calling the office number, the kitchen phone rings. Not when calling the ported number. Is the problem at the outside box level ? If so, how can I know which cables are which, besides the one that still had a dialtone before plugging in the others on the same "strip" ? Which would be the cable corresponding to the ported number since the only two cables initially connected, and on different strips, were the office one and the ATT home one ? Lots of info that might seem confusing, but forgive me for this is fairly new to me. Thanks in advance for all the guidance you may give me. I just want to make the scout work THERE, and have the phone ring on the ported number, not the office one. I'm a bit confused, (as usual) but first make sure you have disconnected to old landline connection in the telco box. Sometimes a voltage is left on the old line and must be disconnected from your house wiring. This usually just means disconnecting a phone jack from the main Incoming line in the telco box. So should I just disconnect all the wires in the tel box but for the one with the office number ? You could. What we're trying to do is remove the original landline connecton from the line you are using the scout on. I had a scout in another room that would not connect. When I removed the landline connection (the voltage) from the house wiring, the scout went blue. It seems that the hpna signal that the scout uses to communicate with the hub never makes it across the long feed line with other stuff (voltage, noise) on the line. As soon as I reconnect the landline scout goes red. I suppose the next step is to just play with the wires until I get a dialtone AND the blue light on the scout ?